Seekerville: The Journey Continues: Welcome to My (Story) World! Welcome to My (Story) World! 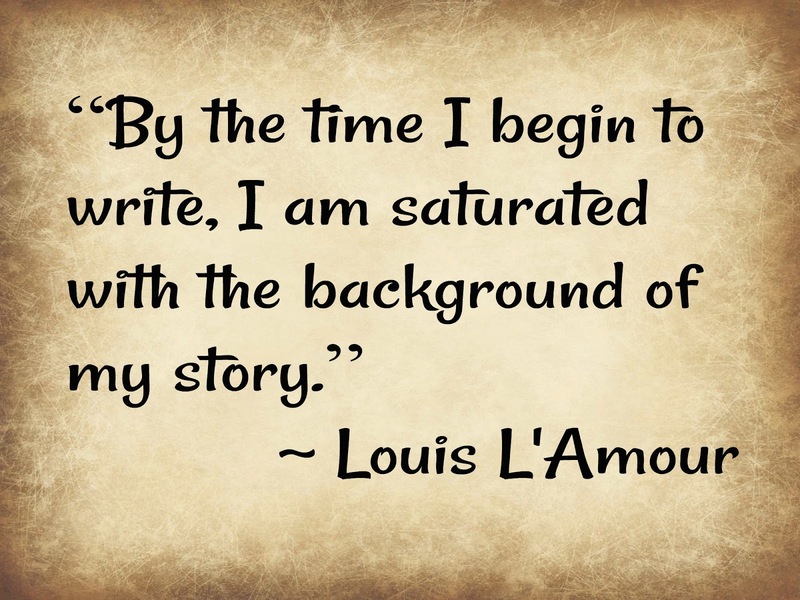 “How long does it take to write a book?” is a question that Louis L’Amour said people often asked him. He thought the question was ridiculous. That started me thinking about my own writing: How long does it take me to write a book? My daily word count – while important – doesn’t account for the hours I’ve spent developing characters and plot lines. It doesn’t touch the time I’ve spent letting the story wind its way through my head while I’ve washed dishes or cleaned the bathroom. And it doesn’t account for the time I’ve spent building my story world. How do I build a story world? There – that’s the secret. If I want my readers to be drawn into my story so completely that they forget the outside world, then I need to be saturated in the background of my story world. How do I saturate myself in my story? Two ways: Research and day-dreaming. Let’s think about that for a minute. I spend a lot of time doing research. I’m a voracious reader. My bookcase full of research materials is only a slight glimmer of the depths of the information I dive into to create a story-world in my mind. This extensive research – this living in our story world – isn’t something that only historical authors do. Contemporary and speculative writers need to know their own story world just as intimately! We need to create a fictional world that welcomes the reader in as if they’re coming home to a place they’ve never been before. A place that resonates with the familiarity of a long-forgotten dream. To communicate a world like that to our readers, we need to know every nuance of our setting’s history, terrain, animal life, plant life, sounds, and sights. We need to know the humidity (a hot day in Mississippi feels much different than a hot day in the western Dakota prairies! ), the strength of the sunlight, and the bite of the wind. We need to know the specifics of the region we’re writing about. The Kansas Tall Grass prairies are different from the Dakota Short Grass prairies. The Appalachian Mountains are a world away from the Canadian Rockies. Lake Superior, as vast as it is, has a completely different feel than the Atlantic Ocean. Then we need to hone the fictional setting. Create roads, buildings, farms, and churches. I like to draw a map of my specific setting to use while I’m writing. When Katie is standing at the end of her farm lane looking east, what does she see? My crude map helps me keep that information consistent through an entire series. But the physical aspects of our story world are just the beginning. Each of our characters will add their own emotional perspective that will show our readers a particular view of their place in our story world. If you didn’t read Winnie Griggs’ wonderful post on perspective last Friday, do it now! Our readers will also bring their own experiences to the story, enriching the story world differently for each person. 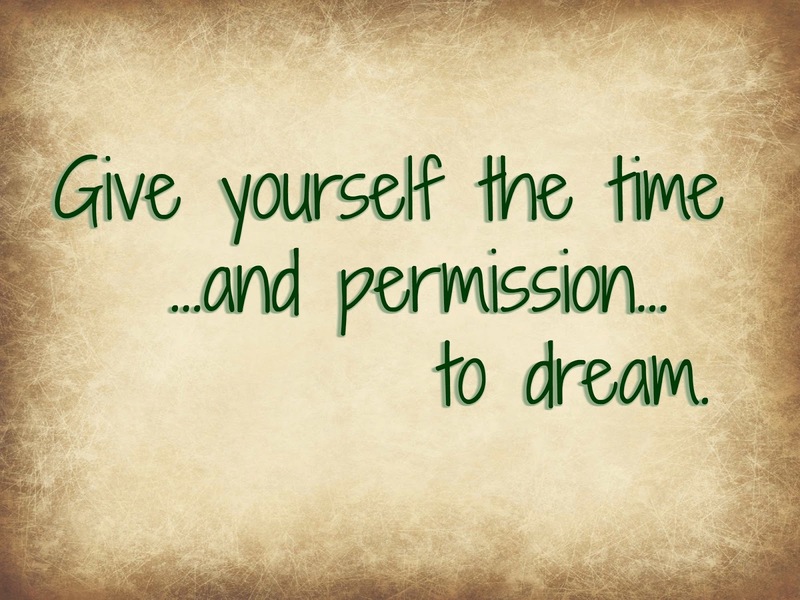 Part of being a writer is giving ourselves the time and space to read and dream. Live in your story world every chance you get. You have my permission! What is your favorite method to develop your story world? Or what are some of your favorite story worlds? Leave a comment to be entered in a drawing for your choice of one of these double book re-releases of some of my Love Inspired books! 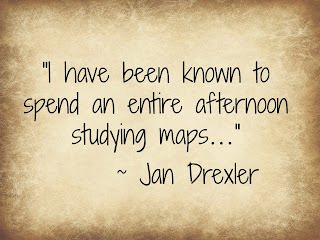 Jan Drexler writes historical fiction with Amish characters for Love Inspired Historical and Revell. 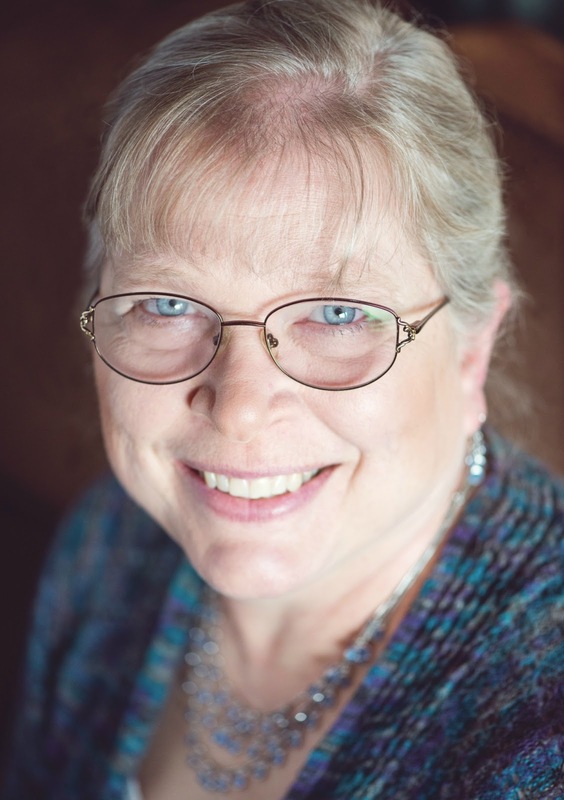 When she isn’t writing, she spends much of her time satisfying her cross-stitch addiction or hiking and enjoying the Black Hills of South Dakota with her husband of more than thirty-five years. Her writing companion is her Corgi, Thatcher, who makes life…interesting. Jan, I'm glad I'm not the only one mulling my story and plot and character reaction as I do other things. The best thing about "multi-tasking" is that we can mentally be doing one thing and physically be doing another. Aren't our brains absolutely amazing things???? "It takes what it takes"... this is such a truism with writing, and I've found it varies with each book to a degree. In some I find the story is in my head and my job is just to get it onto paper. Others, I make a wrong turn and have to re-set the writing loom like an old-time weaver. The best thing? We get it done! And move on. We are ready for Monday! The shower is another good place for our minds to work while our bodies are set on auto-pilot! I get some of my best ideas doing mundane things like dishes and laundry. Sometimes you have to step away from the computer to be more productive at writing, so why not be productive in another way while you're doing it? I couldn't have said this better. The more time spent in the company of your characters and the more time lived in their world, the more real the story to the writer and the more real to the writer. Excellent post. Hey, Tina! Yeah, I agree. I've found when I jump into a story too quickly it doesn't seem as rich. Especially since I tend to have to add a lot of detail on later passes (I tend to write talking heads in a first draft). I couldn't have said it better! We really do have a good excuse to daydream, don't we? Totally agree. And if it takes a few passes to get it right, well... that's what makes the story come alive. Jan, this is a good post. We can't all be Tolkien, but we owe it to ourselves and to our readers to create as full a setting as we can. I've personally created two towns from scratch, an Oregon Country hamlet that my Oregon Trail characters land in for the sequel, and a small New Hampshire town that's the basis for my Christmas romance trilogy. In each, I got a picture in my mind followed by a rough map. Couldn't do much photographically about the Oregon Country hamlet because it was formed in the early 1800s, but I did read diaries and some primary material to get a feel for what the shacks would look like. The New Hampshire one was easier, I took pictures in several small towns and melded them into one that's mine, all mine. My third series takes place in Manhattan and Hell's Kitchen during the period just after World War I, so there was a lot of map consulting in order to set a story not only in a real place, but a real time. It's not a "town," but I also had to spend a lot of time with maps to GET my people from St. Joseph to Oregon Country. And not to take a detour to the Alamo or something even dumber. Like Jan and Ruthy, I spend a lot of time thinking about what I'm going to write while I do "mindless" tasks. I spend a lot of time in the car for my secular job, and I work out plot points and dialogue while I'm driving, so when I sit down to the computer I already know what I'm going to write. It's working smart and also working hard. All that pre-writing thinking pays off, doesn't it? And I'm so excited for you! Nashville! Hooray for Nashville, Kathy! I'm looking forward to meeting you. Just look for the clueless blonde wondering about. Possibly laughing. :) In full sympathy! Jan, another one that set a setting and story world was our dear friend Maud Hart Lovelace. By the time she wrote the high school books, I felt like I could walk to any point in Deep Valley. Blindfolded. I think I need to put one of my Betsy-Tacy stories at the top of my TBR pile! I have been asking my friend a lot of questions about the city she lived in. I downloaded a menu from a restaurant on the beach. I discovered they had alligator on this. My friend had tried it. I had her describe what it tasted like. I have a binder for each story where I keep all my notes from the research and my thoughts and ideas as well as the hard copy of the story i have written so far. I find this easier than trying to read back on the computer. Wilani, your binder sounds like a great idea! I'm sorry about your printer. Thankfully, they're not as expensive as they used to be. I hope you can get one soon. I'm with Missy - I hope you'll be able to buy a new printer soon! I'm not sure where my stories would be if I only worked on the computer! Jan, I love paper! Probably too much. And pens...I have certain ones I use for brainstorming on paper...Uniball 207 BLX Infusion Retractable Gel Pens. What can I say? It's an addiction. That stinks about the printer, Wilani. I'm like Jan, though, in that I do well with paper and pen sometimes. Especially when I have different colored pens. Makes it feel more like play/craft time. Yes, I'm the one who stands in front of the pen display going, "Oooo…"
Great post, Jan. This is something I did not do very well when I wrote the first draft of my book. My characters live in one small town and drive to another bigger town for work or shopping or anything they need in a bigger nearby town. But as I would write my scenes, I never knew how long it would take them or where exactly they were. So I should have made a map and figured it out. Something to do in my second pass. Sandy, I've usually drawn a map once I realize that I can't remember what's what! :) I've had to go back and re-read previous stories to start a map of my fictional town. Then add as I go. The map is something I started doing while I was writing my first book. I found myself getting lost in my story world, and I knew my readers would, too, if I didn't have it clear in my own head! You're right in saying that writing contemporary stories does not excuse us from building elaborate and descriptive worlds. I think this is something else I really need to work on. I don't think I daydream enough and I should try that next time I clean the bathroom! That sounds much better than "Leave me alone. I need to stare into space for a while..."
Jan, great post! I was fascinated by your map. I clicked to enlarge it I've drawn very rough maps of the downtown area and noted where particular businesses are. It's really helpful! Especially if you plan to do more than one book set there. One thing I learned when I was homeschooling is that there are different kinds of learners. I'm a visual learner, so the maps work well for me. Other people might do better with a short paragraph describing their setting. A hands-on learner might want to build a scale model of their setting. Wait a minute...that sounds more like a recipe for procrastination! But the point is, you do whatever it takes to make your store world real. Hi Jan. Lots of good info here. I agree with Louis L'Amour. I am frequently asked how long it took me to write a book and the question leaves me struggling for an answer. Do you ever find that some books take all sorts of time, energy, research, day dreaming and night dreaming, while others just flow onto the page like they wrote themselves? I do. I also know that I know my characters and my settings in an intimate way other readers will never reach. My job is to communicate as much of that as I can. I have been known to be jealous over a book boyfriend and evilly decide to not tell the reader something only I know. Selfish and pathetic! lol. You gave me something to think about. I don't believe I have ever chosen a setting for a real place I've never been. Research skills required! Most of my settings are fictional towns in a real area if that makes sense. I might try that unexplored territory thing next time I'm feeling brave. Yes, I do find that some books flow better than others! And I've never tried writing in unexplored territory, but I've been blessed by a father who took his family traveling all over the country when I was young. And then since I've been married, we've lived all over the Mid-west. There is nothing like standing where your character has stood to give you a feeling of the area. But that isn't possible every time, so I'm thankful for virtual research. Google maps is great - their street view can take you right where you need to be. I know what you mean, Cindy. I get that question all the time and my standard answer is, "Oh, 3 months." But that time doesn't included all the "daydreaming" that went into the story. Oy. I need to rethink this question. 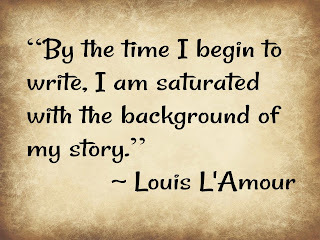 Someone asked Louis L'Amour how long it took him to write a book. He said, "I write three books a year". And that's what his contract called for at the time and for many years afterwards. That seems like an answer that should keep a fan happy. I appreciate Louis L'Amour's approach to writing. Even though he was a prolific writer, he labored over each book. He resented being accused of "cranking them out." But he could write three books a year because he placed most of them in the same story world. He lived and breathed that story world, so he didn't have to re-create his world for each of his stories. His fans SHOULD be happy! Jan, I am fortunate that my stories occur in a real place, however there are also some fictional places within that real place. And since Ouray is known for Jeeping and exploring, I have a map of all the trails and mountains in that area that I refer to often. Sometimes I wonder what I ever did without it. I do the same thing, Mindy. My story world is set in a specific county in Indiana or Ohio, so I keep a county map handy. Congrats on the two-in-ones Love Inspired is publishing that feature your delightful stories. I'm always overjoyed when they email me with covers of my reissues. I hope the readers enjoy having another opportunity to get some of our stories. I'm in the day dreaming phase, but need to switch to the writing stage this week. A new twist "came" to me this morning, which may be the icing on the manuscript cake, so to speak. I love how inspiration hits, often at the strangest times. I was in the shower. Mind on something else when BAM!!! I saw that important new story development. I've said before that I slip into the Amish world so easily. It often surprises me. Especially since I like my creature comforts. There's something about that Amish farm and the click and clatter of the horses hooves as they pull the buggies that takes me to my imaginary world...that seems so real. Great blog post! 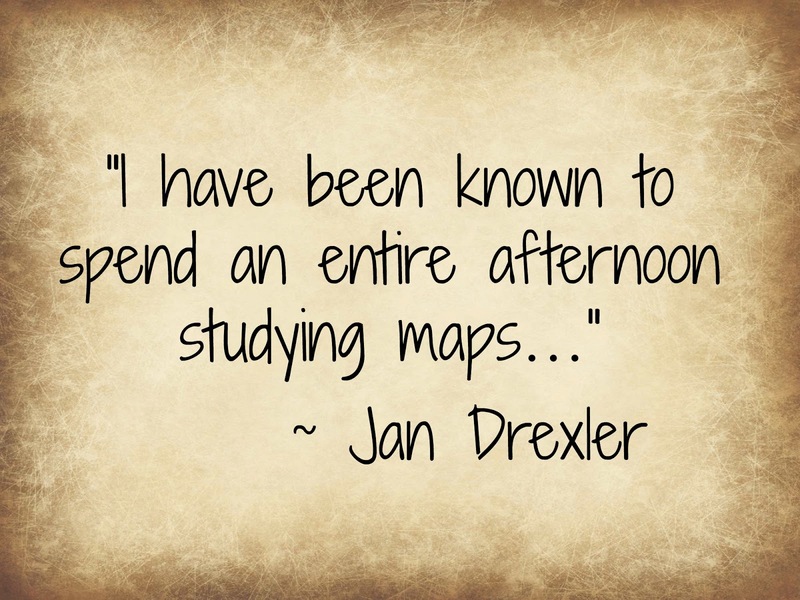 Love your map...and your writing! And I know what you mean about loving the Amish world even while loving our modern conveniences. As long as it isn't hot and humid, I'm fine without electricity! You know, of all the posts on Seekerville in the last 10 years, today's is the one I'd wish most writers would take to heart. I've read all of Louis L'Amour's books, many books about him, his non-fiction, and even the books under his pen names, Jim Mayo and Tex Burns, and Louis did not write the best stories. What he did was write the best reading experiences. There was a lifetime of real experiences behind each of his books. His real name was LeMoore. He changed it to L'Amour and his first publishers wouldn't use it. "That's a romance writer's name. You can't use that on Western books." Readers didn't care what the name was, they loved the realism in his books. If Louis said there was a huge cactus just across the creek ten miles north of Eagle Rock, you knew that cactus was there. Louis would get on a horse and ride out to his book's location. He would eat cowboy campfire food. He'd shake out his boots in the morning to check for scorpions. He'd turn and look backwards every few minutes while riding to check his backtrail which did not look like what he was seeing in front of him. He wanted to be sure he could find his way back if needed. His books were worthwhile learning experiences and not just escapism. That's what I would love historical romances to be. Your post today is a much needed 'classic'. Thanks. I think you grasped my favorite part about reading L'Amour's books - the realism. He lived a full life in the West before he began writing, and it shows in his stories. I am all about daydreaming! *no, I haven't spent the past ten minutes "just looking out the window." Someone asked Mickey Spillane how long it took him to write a book. He said, "Exactly three weeks." He said he hated writing but he needed the money so when he was about to run out of money he'd hole-up somewhere by himself and do nothing but write the book, then he would not write again until he needed money again. Now I'll have to read a Mickey Spillane book and see what a three week story looks like. They must be good reads, considering how popular his stories have been through the years. If you ask me how long it takes a given author to write a book, I have two answers: too long and not long enough. Someone asked how long it took Tony Hillerman to write a book. A critic answered: "Too long. He's spawned a whole industry of copycat books to fill in the gap between his releases." Today more and more publishers feel the same way. They want best selling authors to write filler 'novellas' between books so as not to lose fans to other best selling authors. One of my favorite mystery writers complained bitterly about this push for novellas. She wrote a very bad novella to show her displeasure but if that was the only one of her books a reader reads, they won't read any more of her books. She was only hurting herself. To make a good career writing all your books should sell all your other books. Each book should be your best work. That's why I so much like your post today because one must do the hard research. I once took a magazine writing course and the instructor asked: "What's the difference between a $50 article and at $500 article?" The answer: "The research." Of course, this was before the internet. But still, it really helps to live the experience your characters are having. It also helps to interview experts. I'm taking a course right now and today the instructor told that when he wrote a piece on a given town, he'd go there and talk to people who have lived there the longest. He ask them what it was like to live in that town. For just the price of a cup of coffee he'd get loads of useful ideas. Once I heard a writer say, "Front list sells back list." Every book you publish finds new readers who go back to find your previous books. So like you said, each release should be our best work possible. We should always be looking for ways to improve our writing - always striving to take it to the next level. And your instructors is so right. Most of what I've learned about the Amish is just being a good listener and observer. I sat down with a man a year ago who told me how his entire congregation left the Amish and became Mennonite fifty years ago. It was a great conversation, and I learned a lot! Jan, such a GREAT post! I love immersing myself in my story world. I can literally lose myself there. I never leave home without notebooks and pens - I never know what snippets, trivia, or tales I'll hear while out and about. So much of what we hear and internalize makes fabulous fodder for our stories. And too, we give our stories wings when we travel to the regions where our characters live, eat, and breathe. When we sit down to finally write, all those things mesh together and bring our stories to life. The words seem to flow easier and we write more authentically when we've done our necessary research. Exactly, Cynthia! I don't know how many times I've reached into my storehouse of memories to bring a scene to life. Every detail - even how it feels to be bitten by a mosquito - lends realism to a scene that can't be matched. What a lovely post. Daydreaming is such a vital part of the process, isn't it? I love falling into a story world. 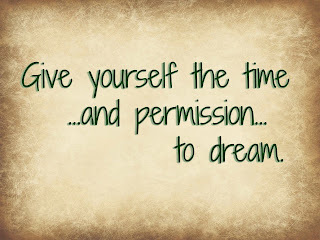 I know I spend way too much time daydreaming when I should be writing...but without it, the story would lose something. Today is a chilly, rainy day here in the Black Hills...very conducive to daydreaming. Don't you think? Well, don't most mysteries start, "It was a dark and stormy night"? Vince, if they don't, they should!!! Oh, the daydreaming part and looking at maps, and Pinterest, or any website that is relatable to the topic I'm starting to "think" about writing. And, I have copies of maps and hand-drawn maps as well, and copies real maps with hand-drawn fictional holdings ON the maps. They come in handy when you write something, then realize that a particular town is 100 miles from a river or mountain. I like to take the ONE nugget I know about my story and start researching, reading, looking at pictures. Then I gather another nugget, and another, and eventually I have a whole bushel basket of nuggets to sort through. It's that process - the research, the "what if's," and the nuggets you gather along the way - that all coalesce (hopefully!) into a story experience that touches the readers. And I like your description (gathering nuggets) better than mine (following rabbit trails)! Can You Pass This Authenticity Test? "What percent of your books have an acknowledgement page thanking people, who are active in the areas covered in your book, for their input? My wife judges a new author to her by the acknowledgements. She wants to know that what she is reading carries a reasonable degree of authenticity. As a marketing person, I'm the same way. I want the acknowledgements to help sell the book to people like me and my wife. This is important to many readers who are new to a given author. It is very important to a medical romance! Just as an antidotal example I thought of two Seeker books that I feel were the most satisfying and memorable. They were: "The Lawman's Second Chance" and "Her Unlikely Family". Both of these books have comprehensive acknowledgments and Ruth's book even as a "Dear Reader" page at the end. I don't think this was just chance. I'm guilty of not remembering to thank the right people in my acknowledgements! Thanks for the reminder! Seriously, I think the fact that you sought information from others who had first hand knowledge and were then willing to acknowledge those people, to such a degree, shows a genuine concern for your reader. This caring is reflected in your voice. I think your concern is what makes your voice so reader friendly. I feel your voice as love but then the story itself is about love. I just hope you can keep doing what you're doing. As a reader every book takes me some place wonderful. I am there till the book has ended and start a new one. I always love it when a book transports me to another place! Yes!! Fist pumping over here. I've spent *cough*YEARS*cough developing a story world. Maps, migrations, languages, epochs, culture, significant historical events, wars, bloodlines, myths, technology. I struggle with finding that balance. I can get lost day-dreaming in my story world and never get the actual story written. But I feel like that development makes all the difference, and as a reader I can tell when the author has or has not done the leg work. And I love authors that stick to their story world but offer different iterations of it...like Narnia, Middle Earth, and Earthsea. Vastly different stories, but as a reader, I get to go back to the world I fell in love with over and over. That's how both Tolkien and Lewis started - they spent years developing their story worlds! And look what we ended up with! I get asked that question a lot, Jan. Thanks for this interesting angle on it!!! i love how you say we can't quantify the hours given to creating our story peeps and their world. it's so woven into us the lines blur! Borrowing a town from Google maps is a great idea! My method is a all over the place. I basically do everything possible to figure my story world out. 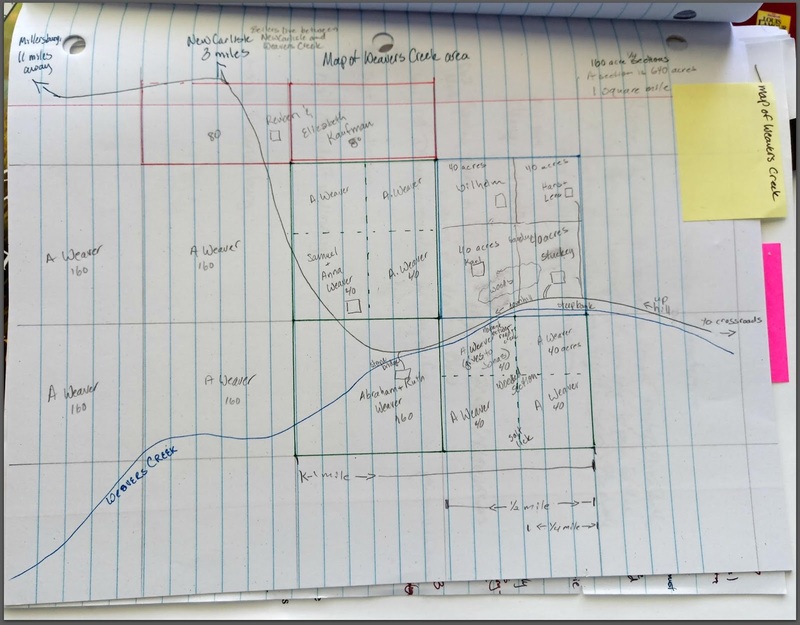 I brainstorm, sometimes I jot details down, and draw maps. It really depends on the story world I'm doing. Those are all great techniques, Nicki! And since you write speculative, you're creating an entire world from scratch. No borrowing towns from Google maps! I love to read about places I've already been or would someday like to visit, so Paris and Great Britain hold interest. I enjoy reading Debbie Macomber's books, all set in the Pacific Northwest and three years ago we packed up our trailer (and 3 littles) and headed all the way from eastern Canada to visit! As for writing, I like creating my own fictional towns loosely based on places I've been. However, that being said, I'm writing a novel based in the most romantic Canadian city - Quebec City! (I say that because my hubby proposed there...HA!). Google maps, Trip Advisor, real estate websites and online research play an integral part to creating my story world. :) I'm happy to have my name entered in the draw. Oooh, I hadn't thought about real estate websites - probably since I write historicals. But that would be a great resource for a contemporary story! Reading Debbie Macomber's books make me want to visit the PNW too! Wouldn't it be great to spend a few days in Cedar Cove? I know there's a great B&B there! My favorite story world is often the book I am reading at the time. Just lately I've been diving into outback Australia. I remember my first experience with Australia through reading. It was "The Thornbirds." I was transported to another world! Very interning read! I love the detail in stories of place I can actually visit. It really does feel like you are coming to a place you have been before. On the other side, it introduces me to places I might never get to visit other than through the book. Thanks for all the daydreaming and research that go into your books! Excuse the spelling error...interesting!! Perhaps just a slip of the brain since, as a reviewer, I spend time letting the book resonate in my mind before I write my review. I appreciate the opportunity to learn more about writing. Thank you. I love it when you said to welcome your reader home to a place they have never been. Thanks again for sharing. Thanks for stopping by, Tammie! I actually stole that line from John Denver...but it fits so well, doesn't it? Love reading all the comments here. My ideas keep simmering and slow cooking in my brain as I add bits and pieces to a notebook. And then when I'm writing and mixing everything together I find more pinches of information and ideas to add to the story that makes writing like cooking/baking in the kitchen- sometimes rewarding and other times frustrating. But overall totally addictive. I use that image of a pot simmering on the back of the stove all the time. Sometimes I have to leave my story to do something completely different and just let the ideas simmer. Speaking of "Jans" ;) I love love love all the Mitford series by Jan Karon, and when I began reading those (some years back) I enjoyed the map of her fictional town that she included in the books. 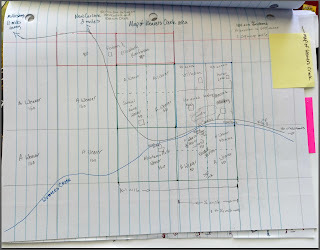 In the current series I'm writing (now on Book 3) I've decided I need to draw a map of my fictional town---up until now I've kept locations stored in my head, LOL. I think it's time to put it on paper! :) Especially as I've added more characters and their homes. Thanks so much for sharing this post. Please toss me in your drawing! As an avid reader, I appreciated all your comments. I particularly enjoy an author "painting a picture with words" of the story locations. Always enjoy your books and look forward to new releases. I just send you a comment on your website. Website: www.JanDrexler.com Some authors don't check the email on those sites so this is just a heads up. Hi Jan. I am only a reader but I appreciate authors who share some of their personal experiences in their storylines or do research so that they can be authentic. I also appreciate authors who use description to involve us and interest us.